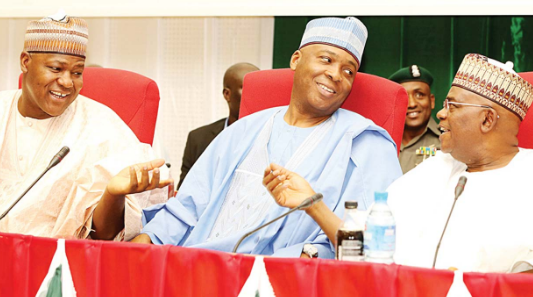 Will the ruling APC be able to go into the race for the 9th Senate leadership as one? The North-East Youths Development Association has endorsed Danjume Goje, senator representing Gombe central, as the next senate president. Their action is against the position the APC leadership. They besieged the national assembly on Thursday and asked the leadership of the All Progressives Congress (APC) to not only zone the position to the north-east but to back Senator Goje for the job. The group carried various placards with inscriptions calling on lawmakers as well to support Goje, a former governor of Gombe, who they said would “make the legislature viable” in Nigeria. Bello Ambo, chairman of the association, said Goje is “qualified” to take over from Bukola Saraki. “His wealth of experience and managerial prowess gannered right from his days as federal minister and of late the Governor of Gombe state... Being a third-term ranking senator he has the ability and capacity to lead the 9th Senate effectively. The APC is expected to produce the next senate president as they have 25 seats more than the PDP. 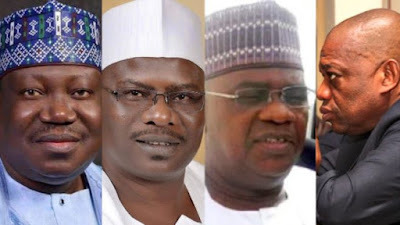 The party leadership as well as President Muhammadu Buhari have endorsed Ahmad Lawan from Yobe state for the job. This has, however, not stopped other lawmakers from indicating their interest.